There are 1 cat videos tagged with shelves. Treat your cat buddy(or buddies) with some handmade cat shelves just for them. 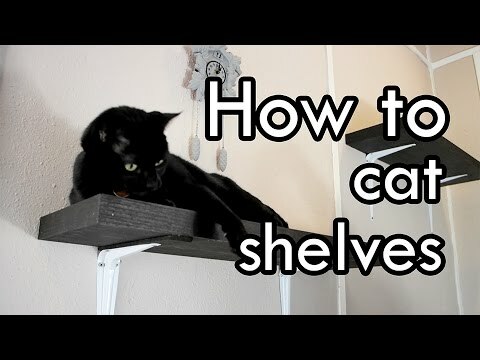 I'll show you how to make some simple carpeted shelves as well as a food/water shelf with recessed bowls. Stay tuned on Thursdays for more DIY videos! Please watch: "Watch Me Draw : Oxenfree"